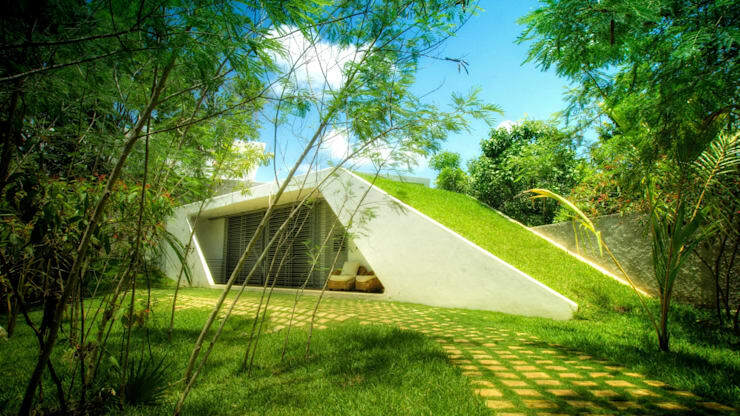 This beautiful green roofed house seems to be a modern version of sod roof Scandinavian houses. It is literally enveloped in the garden that is created for the building itself. The green roof acts as a natural insulation. Use of sustainable material, recycled ground water, natural ventilation and ecological septic tank make it a great example of eco conscious architecture. 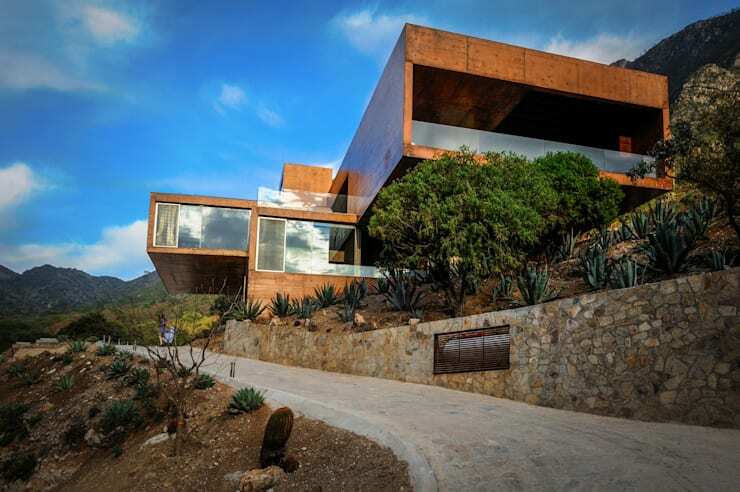 Casa VSP Jura is one of the Sanzpont Arquitectura exclusives. It is a compact house covering little over 100 sq metre and suitable for small families. A house or a modern art installation? 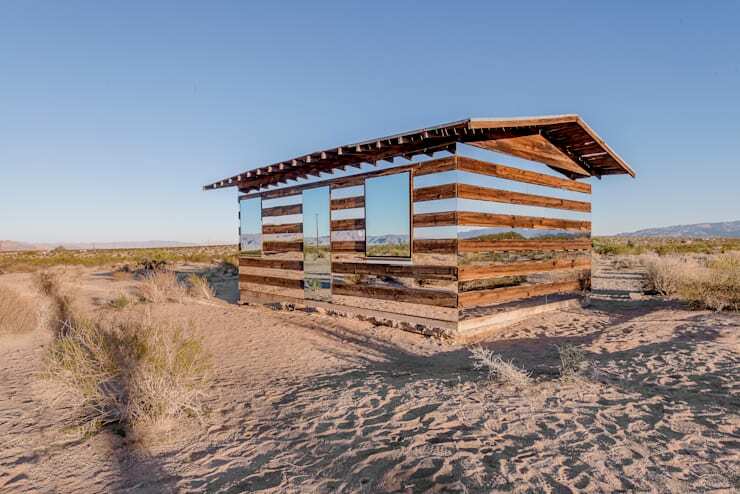 Lucid Stead in Palm Desert, California is a bit of a both. Set up by artist, architect and designer Phillip K Smith III, this house has earned applause from all corners of the globe. As the sun shifts in the horizon, Lucid Stead creates an ultimate mirage. This homesteading shack is powered by cutting edge technology, mirror and LED lighting. To view the surroundings reflect and refract on the outer walls is an intoxicating experience to say the least. How about commissioning such a design for your own house? Even if you consider using it only occasionally, you’ll surely have the whole world talking about it all the time! 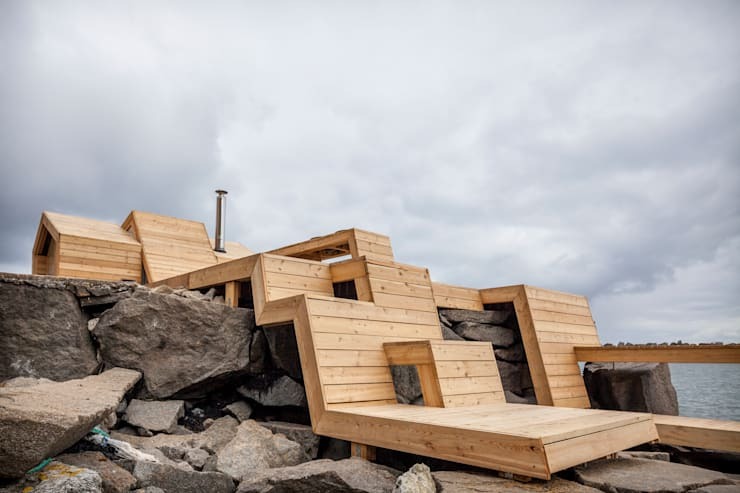 Lofoten on a Quay is a cluster three buildings – a fisherman’s cottage, cod liver oil production unit and fish salting unit – turned The Art and Culture Production Centre of Kleivan, Norway. It epitomises the strengths of Norwegian design tradition. Yet it is very much a modish creation appropriate for the location and purpose it is meant for. Long wooden bands of the cottage act as pier. The interior, no less peculiar than the outside, showcases a combination of asymmetrical shapes. Doors and windows echo the same design ideals. Made of wood and other environment friendly materials, the building houses all the facilities necessary for a comfortable modern living. 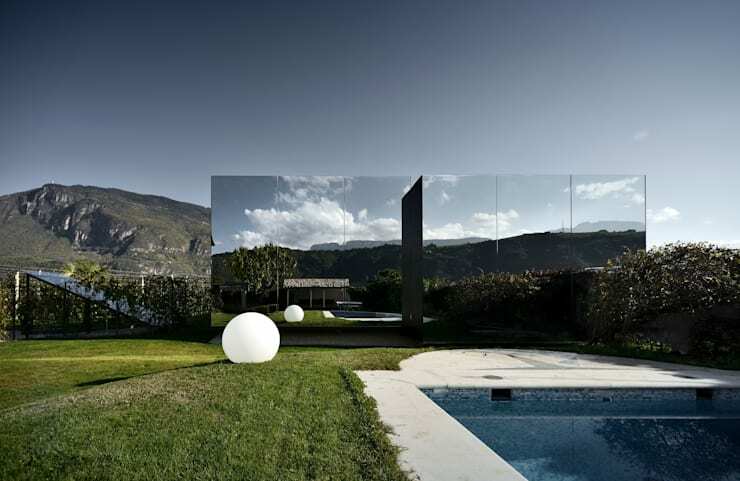 This mountain resort designed by Peter Pichler Architecture is another one that uses the power of mirrors to the fullest extent. If it seems too radical from the outside, let me tell you it is quite simplistic in its built and minimal in its décor. The only thing that sets it apart is the skilful usage of shiny surfaces that continually reflect the changing face of Dolomite. The exterior walls have been UV coated to avoid collisions with birds. The surrounding apple orchard helps to make the atmosphere even prettier. This is a vacation home in Northern Italy available for holiday rental. So, if you wish to have a first-hand experience of the building before choosing to build one for yourself then you can book your stay there in advance. Casa Narigua’s can be seen nestled in the greenery of El Jonuco, Mexico. P+0 Arquitectura used this idyllic setting to build one of its masterpieces. The house conjoins three separate blocks of two storey buildings to offset the concerns posed by uneven terrain. As far as possible, the architect also refrained from disturbing the existing woodland. Pigmented concrete matching the shades of the soil, large windows, hardwood floor and beams made of Mexican cypresses are utilised in the making of the house. It boasts of a spacious interior and offers a 360 degree view of the surrounding. Courtesy, its rustic colour palette this abode looks much like a wood cabin on tree top from a distance. If building an eco home is your passion then why not check some more of our inspirations here?